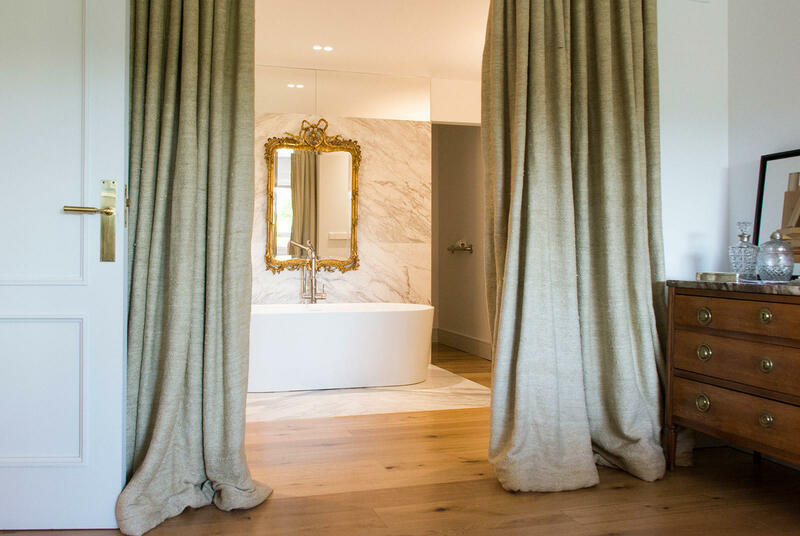 Which floor do you choose best for your bathroom? Floors in a bathroom, it’s still a difficult choice. The floor must not only be easy in use, it must cope well with water and still be attractive on top. 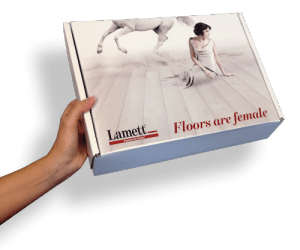 This is why ParquetVinyl is often chosen as the floor. But why exactly? The biggest advantage straight away. Our ParquetVinyl floors are 100% water-resistant. 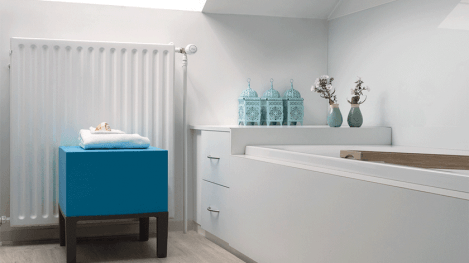 The bath that overflows, a child spilling a lot of water, a wet towel still on the floor …? And so on. A floor in the bathroom must obviously be able to take a splash. 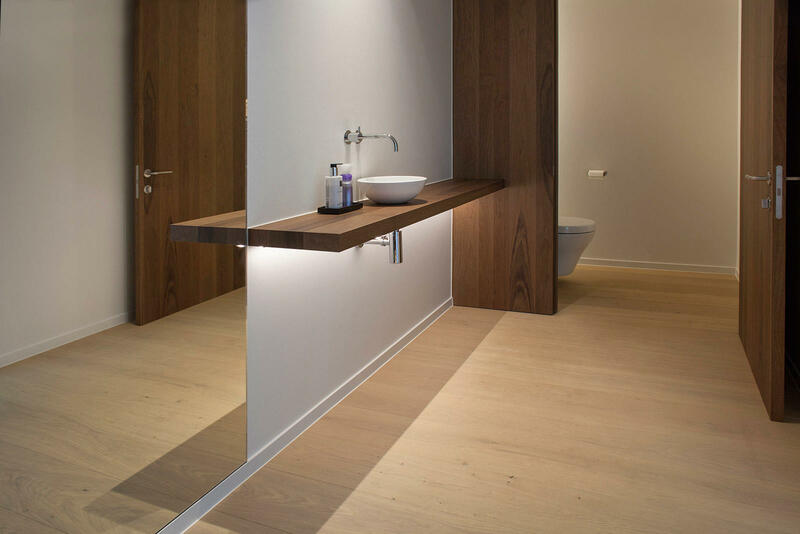 A bathroom is one of the spaces that has to be cleaned thoroughly and particularly often. Because ParquetVinyl is water-resistant you can clean this floor easily and thoroughly. Always a hygienic and tidy bathroom. What more could you want? NOTE: Any damage to your parquet floor as a result of water will not be covered by our guarantee. It is therefore recommended to not use parquet in the bathroom or kitchen in certain areas such as the cooking part or dishwashing part. ParquetVinyl floors are 100% water-resistant and may be installed in damp spaces. 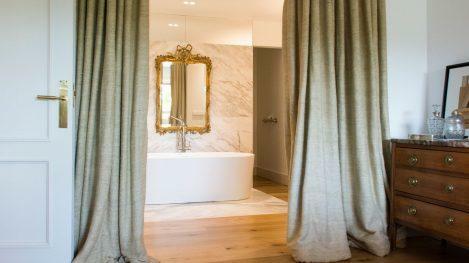 Are you curious about the most sold floors for your bathroom? Only a parquet floor was chosen here. 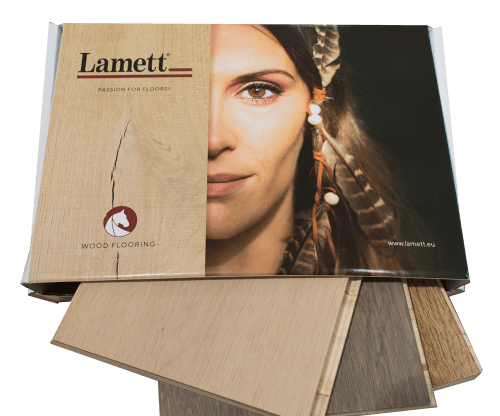 Lamett offers no guarantee on parquet floors that are installed in damp spaces. 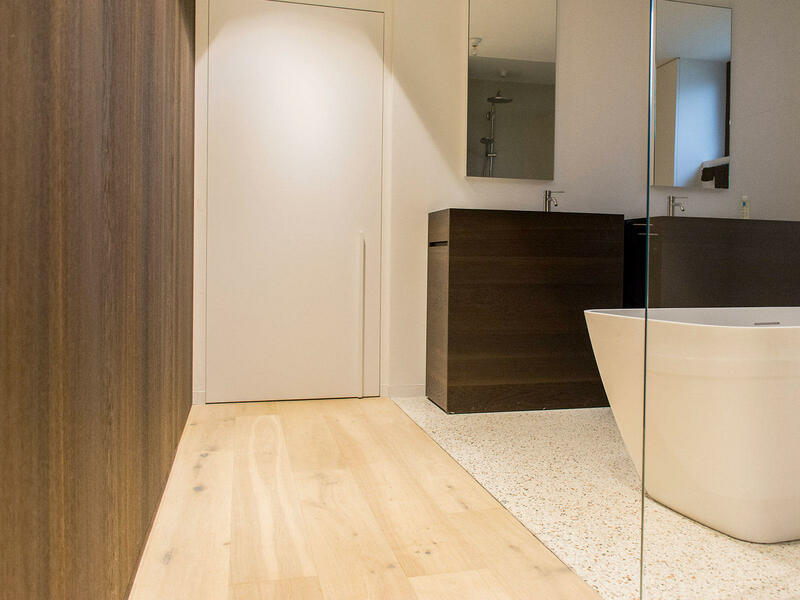 If the floor is well maintained and no excessive water arrives on the floor, a parquet floor can be perfect for use in a bathroom.